Occasionally, a product comes onto the market that changes the game entirely. Like the advent of the polymer-framed handgun in the 80’s, Kydex holsters are one such game-changer. A formulation of PVC, Kydex is a proprietary sheet plastic that was first offered for gun holsters in the late 90’s. Kydex holsters are produced for all the major modes of carry, so one can find the right holster no matter the preferred carry position. 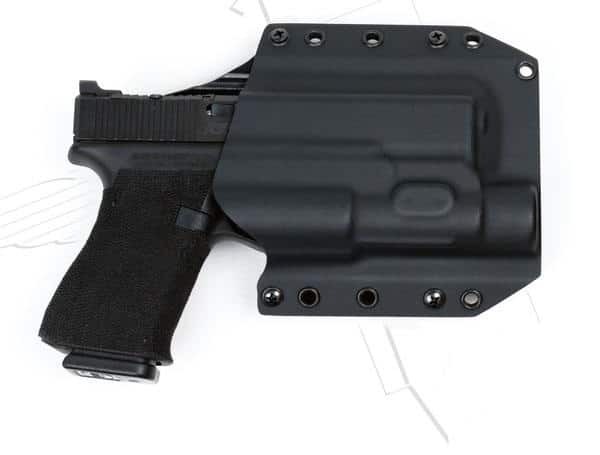 Read on to learn about five of the best Kydex holsters. For those seeking a full-powered carry option, the Bravo Concealment OWB holster is an outstanding choice. Molded for a variety of popular handguns, the Bravo has been shaped to accept a handgun bearing a tactical light. Many defensive encounters occur after dark. Shooters desiring night time visibility will appreciate the ability to carry their weapon with a tactical light mounted. Available in black, flat dark earth, and gray, the holster sits fairly high on the belt, allowing users to conceal their weapon under a long shirt. A favorite among users of outside-the-waistband Kydex holsters, the Bravo concealment comes in at a price point of around $86.99. For concealed carriers who favor deep concealment of their weapon, but also need durability and comfort, the Galco Triton IWB is among the best holsters on the market. The low profile holds the weapon low against the belt line, thus minimizing the chances of the gun “printing” through your shirt. A wide single steel belt clip ensures the holster stays snug against the user’s body. Practicing your draw from Galco IWB Kydex holsters could not be easier. The rigid Kydex material allows users to smoothly draw and re-holster their weapons without the best compressing the holster. 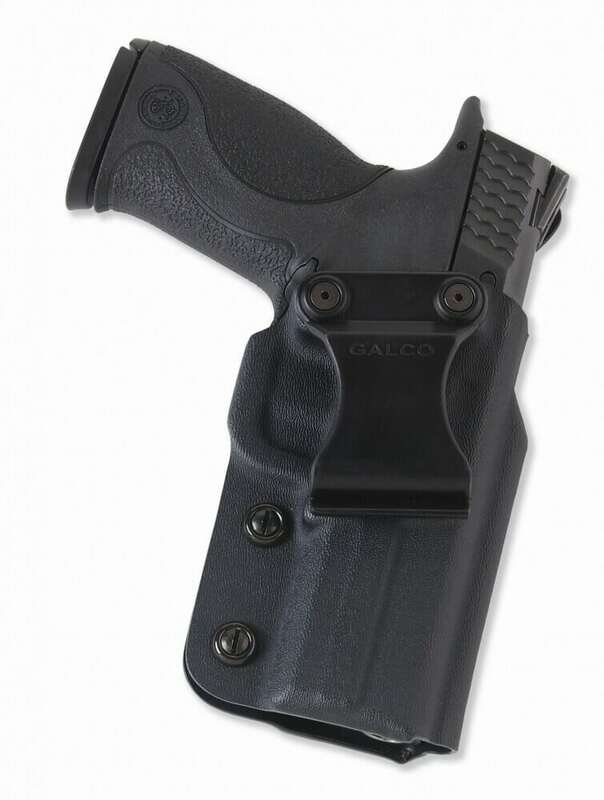 Galco’s long history of high-quality leather holsters also applies to their Kydex options. Users can depend on many years of service from the Triton IWB. The Galco Triton IWB Kydex Holster costs an affordable $50. Kydex paddle holsters are an excellent option for those seeking additional comfort while carrying concealed. The paddle inserts between your pants and your body, dispersing the weight of the gun-bearing holster over a wider region, thus enhancing user comfort. One of the best options for a Kydex paddle holster is the Omega Minimalist Paddle Holster. As the name implies, the Minimalist is a simple holster that gives you exactly what you need with no bells and whistles. The holster is light, smooth, comfortable, and also durable. The Minimalist is offered for many different handgun frames, and prices start at $65.00. While Kydex is an advanced holster material that often commands a higher price than holsters made of lesser materials, there are affordable options for budget-minded shooters. For shooters looking for a great holster that doesn’t break the bank, consider the Uncle Mike’s Tactical Kydex Paddle Holster. With Uncle Mike’s, shooters get light weight, durability, and ease of draw in a convenient outside the waistband paddle holster. Uncle Mike’s makes holsters molded to fit almost all of the major handgun patterns shooters carry today. The durable Kydex construction will provide years of service at a fraction of the price of competing holsters. The Uncle Mike’s Tactical Kydex Paddle Holster starts at $15.99. One of the many advantages of Kydex holsters is the ability to order custom-made models for your weapon with a personal touch. 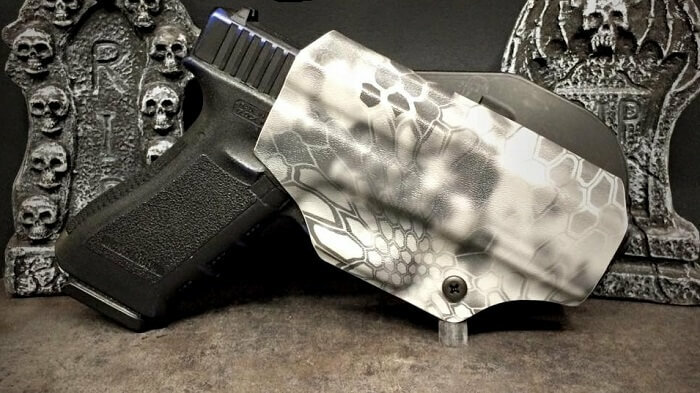 Outlaw Holsters currently offers 100% Kydex holsters in a variety of custom flavors. 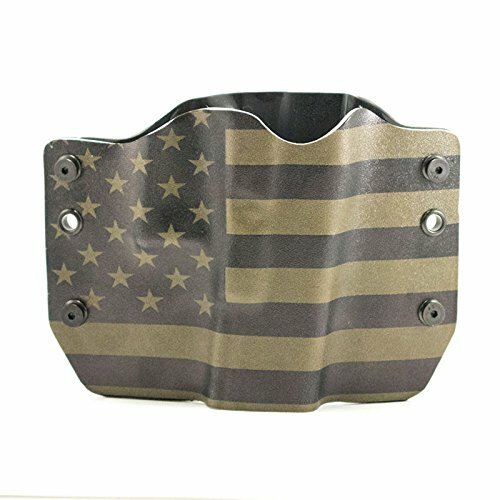 Shooters can show off their patriotic side with an American flag patterned holster or display their opposition to tyranny with a “Don’t Tread on Me” patterned holster, among other designs. Made in the United States of America, these stylish holsters are durable and hold handguns tight to the body for easy concealment. With molds for 125 different handgun frames, shooters are sure to find an Outlaw Holster that fits their weapon. Outlaw Holsters have a competitive price of $42.84. Shooters have relied on their trusty leather and affordable nylon holsters for decades. However, many shooters have tossed aside their old systems for Kydex holsters. They offer smooth draws, simplicity, durability, light weight, moisture resistance, and that oh-so-satisfying click as the weapon settles into place. The Kydex smooth draw and re-holster has shooters addicted to honing their draws after only a little practice. Buyers will never be disappointed with high-quality Kydex holster options from Bravo Concealment, Galco, Omega, Uncle Mike’s, and Outlaw Holsters. Finally, the only decision left is choosing which holster is best for the shooter’s individual needs. 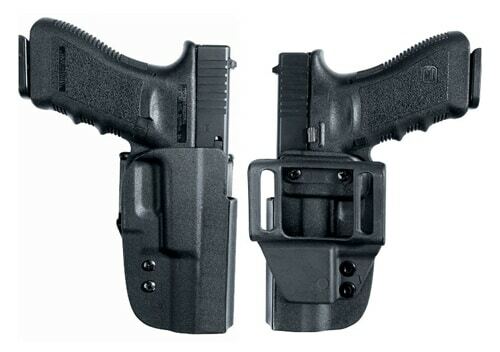 Hey Buddy!, I found this information for you: "Top 5 Kydex Holsters and Best Practices". Here is the website link: https://thegunrights.com/kydex-holsters/. Thank you.